My review of health and fitness books. I’m totally in love with this cookbook! It is so fun! It is food you want to cook and eat! The book boasts “complete paleo meals in 45 minutes or less” – and it delivers. After the Table of Contents, Melissa J. 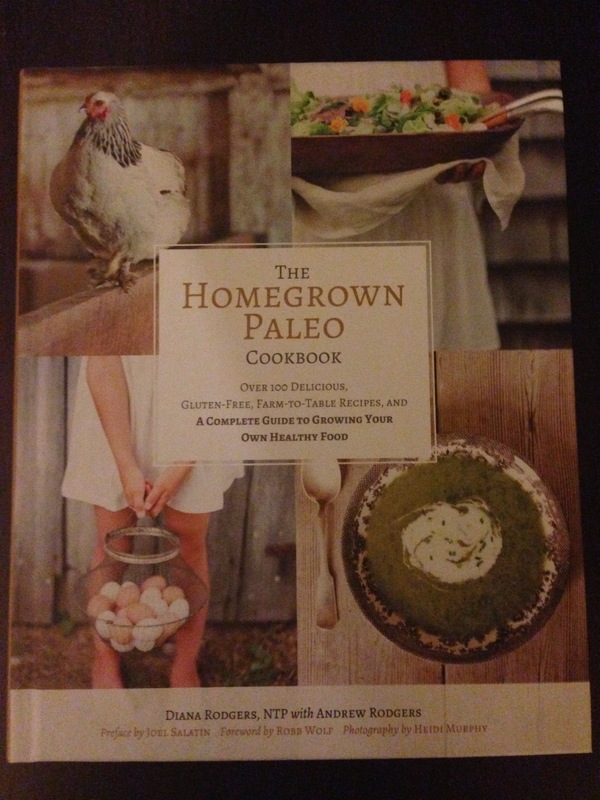 (aka: M.J.) then goes through a few pages about Paleo, yes/no foods, her story, and other cookbooks (which I own). About This Book (p11) – this section talks about it not being a diet book and doesn’t have nutritional breakdowns, it is whole-food healthy recipes folks – don’t freak-out! A bit on “how-to use this book” and about the “mini cook-up”. The Recipe Pages (ps13-15) – these pages discuss how the recipes are broken down, about food quality, and cooking tips – her humor is great. Sample Menus (ps16–17) – She provides Weeks 1 – 4 of menus with the name and page number of suggested recipes. Then 8 weeks of menus with unique themes (super-fun sporty suppers, 2 weeks of distinctive dinner salads, balls & bowls, a break from red meat, international taste buds tour, comfort food, all the time, and seven of her favorite recipes). Your Paleo Pantry (ps32-33) – She discusses her suggested pantry items, why, and how to use them. Herbs and Spices (ps34-35) – She discusses the ones used in her recipes, about it, and it’s qualities – this page is super helpful for learning how to put flavors together. Mini Cook-up (ps39-40) – M.J. provides a 9-step “Mini Cook-up” that allows you to do some minimal meal prepping for the week that helps to make your dinner cooking sessions each night “45 minutes of less”. Why It’s Unlike Any Other Cookbook! My absolute favorite part of this book is what M.J. calls “Super-fun Sporty Suppers” (p17). Meat & Potatoes (p43) – M.J. walks you through how to pre-cook the potatoes so that you have that part already done, which cuts down dinner cooking time tremendously. She provides 12 M&P variations. Velvet Stir-Fry (p57) – M.J. walks you through a preparation process that is super easy and fast that applies to all the stir-fry variations. She provides 8 stir-fry variations. The Ultimate Salad Bar (p61) – M.J. walks you through the steps on how to build the perfectly dress salad in 10 quick steps. I was super-duper surprised about some of her tips in this section that I didn’t know! In this section she provides lists of all the types of salad fixings (ps62-63). Then on (ps66-67) she provides 25 “super salad combos” variations for easy-breezy-no-thinking salads to build. 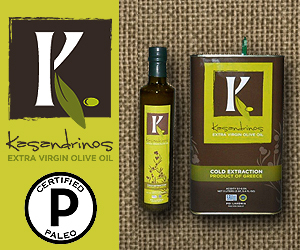 On (p65) she provides 6 salad dressings and on (p66) a list of 14 more salad dressing recipes throughout the book. Burger Night (p79) – M.J. walks you through the 5 steps to create/build a great burger! She provides 8 burger variations, some of which I would have never thought of…..
What you eat with your burger is up to you, however using some of those pre-cooked potatoes you did is a quick and easy side dish….or….while your burger is cooking pulling out some of your pre-cut veggies and building one of her scrumptious salads is easy too. Taco Night (p93) – M.J. walks you through 6 steps to achieve your best taco ever! I personally skip step No3 – you’ll have to see for yourself. I like to vary my taco base…. I use gluten-free tortillas (p94), lettuce wraps, taco bowls over cilantro lime rice (add butter, fresh chopped cilantro, lime zest, and lime juice to a pot of rice) or cauliflower rice (p.203), over a Mexican style salad (p.66) the Cumin-Lime Dressing (p46) or eat all the goodies on plantain chips or gluten-free non-GMO corn tortilla chips cooked in avocado oil or coconut oil. Hot Dog Night (p141) – M.J. walks you through 5 steps for this quick dinner night! She provides 8 recipes varieties that are new to the palate. I tend to get in a rut and go with spicy brown mustard and raw sauerkraut….but her recipes are FAR more exciting than that! Side Note: Please make sure you are purchasing Organic Grass-fed 100% Beef or Pork hot dogs. You can find them in dang-near every grocery store these days. They are completely worth the little bit of extra costs to avoid the hormones, antibiotics, soy, and bad fats associated with conventionally raised cows. Tuna Salad Platters (p229) – M.J. walks you through 5 steps for yummy varieties of tuna salads. She provides 8 recipe varieties that will wake-up your taste buds! She also gives a recipe to make your own mayo (p229). I personally am not one to make my own mayo, despite how easy folks say it is….I use Sir Kensington’s Organic Mayonnaise. If you only use the recipes from these 7 sections of the book, you will have 76 recipe variations to choose from. 76! If you cook dinner 7 nights per week, that is 10+ weeks of dinner recipes without ever repeating a recipe variation. Mind blown!! What I like to do is sit down with the cookbook, a small piece paper, and pen for a few minutes (10-15) toward the end of each week (usually Saturday AM sometime) and assign a theme to each night of the week (which I typically do not deviate far from, from week to week). Then each week pick a recipe from that area of the book and make a grocery list. Now I have a plan for each night and I know exactly what I need from the store to make it happen. Easy-peasy! Monday: Stir-fry Night (p57) – cause it is so fast and easy. Tuesday: Taco Night (p93) – cause it’s a thing. Wednesday: Hot Dog Night (p414) – do this theme on a night you know is either super busy or you know you’re going to be tired. Then you can put your significant other in charge of “Hot Dog Night” – since it is so easy. Friday: Fish & Seafood Night (ps221-244) – Fast protein cook, cause I’m quite tired on Friday evenings. Another wonderful and easy recipe is the Chicken Paillard (p167) that can be served with 1 of 7 toppings (citrus-mango relish; Greek olive tapenade; pesto; cucumber-pineapple salsa; onion-pepita relish; mushroom & pancetta jam; or tomato, bacon, & avocado relish) for variety. If and or when you find yourself in need of a little comfort, M.J. lists out her 50 Comforting Things (p205). What is terrific about this book is that you can easily meal plan for each week aaaannd have variety at the same time. This book is all about variety without having to think too hard about it, which as a full-time working wife I completely appreciate. I have to admit that I’m a bit of a recipe and cookbook junkie. I read cookbooks with the same enthusiasm that other people read novels. I particularly enjoy cookbooks that have lots of pictures of the food in them. Honestly there aren’t very many of them that I use with any regularity, but I think this one is going to be an exception. I work full-time and struggle with making sure that we have healthy meals throughout the week that are easy and fast. The first thing that I love about the book is on page 10. “the recipes in this book, you’ll find some that are quick and easy and come together in less than an hour, which are perfect for weeknights. Those that are simmered or braised for hours to achieve maximum flavor are ideal for weekends, and those that are marinated overnight can be prepared the night before, therefore transiting into a quick-and-easy meal the next day.” I would venture to guess that the recipes that simmered or braised for hours could be done in a slow cooker or in the oven at low temperatures all day while one is gone to work to come home to a delicious easy meal. Although this cookbook says “Paleo” on it, due to the author’s heritage of Filipino and Spanish, she includes ingredients that are not squeaky clean Paleo like white rice, butter, wine, Worcestershire, arrowroot, and tapioca flour. 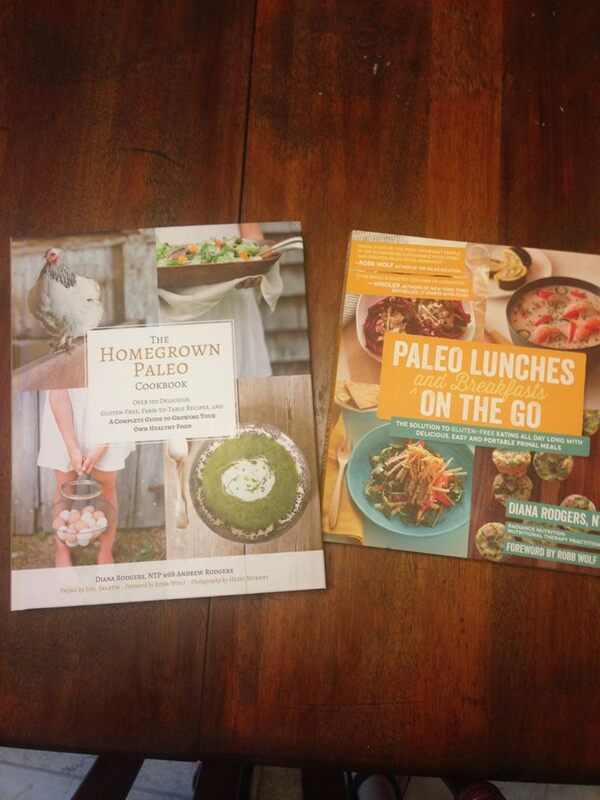 On page 11 she has a short table of ingredient alternatives to these to provide other Paleo options. I personally have no issue with any of those ingredients and will likely not make swaps. On pages 194 – 196, she has a “Recipe Allergen Index” to easily reference for those with dairy, nut, grain, and egg allergies. 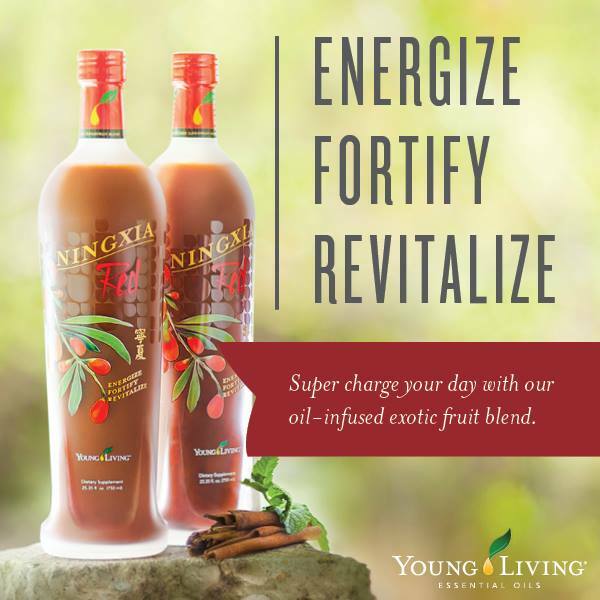 Beware that it is noted here too that all the recipes contain nightshades so they may be difficult for those following an Autoimmune Protocol (AIP). In the Appendix, on page 192, she has a page that gives helpful tips for “Weekend Prep for Weeknight Meals”, which is fantastic! Seriously, who doesn’t want to make their weekday evenings easier?! For those that aren’t quite so experienced in the kitchen, I think this would be a great book for you. Not only are we talking easy one-pot meals, but there is a section in the book called “The Basics” on pages 184 – 191 that has bone broth recipes, condiments, rice variations, and common sauces. It is also nice that it is noted on each recipe that it serves between 2 and 4 people, which is great for those of us with small households. For those with larger occupancy, each recipe can be doubled (I assume that larger families already have to do this and are prepared to do so). The pictures in the book are beautiful and will make you hungry.